There are few things better in life than a trip to Paris. Be it for a week or weekend, the City of Light never fails to enchant. Fewer travelers visiting Paris due to terror attacks has resulted in a rough tourism climate and that spells deals for Americans. Paris has never been more affordable with discounts on airfares and even Luxury hotels. We’ve just returned and can report that a shaken Paris wants its visitors back badly and Parisians are unusually happy to see Americans. From personal experience we can highly recommend legendary hotels like Four Seasons George V, Le Bristol, the Plaza Athenee, Le Ritz, palaces of extraordinary luxe. And La Reserve Hotel and Spa, a stunning newcomer, the Duke of Morny’s aristocratic 19th century hotel particulier, has all the refinement of Belle Epoque Paris and miles of herringbone parquet, shimmering damascene brocade fabrics and Carrara marble to create a luminous atmosphere that will transport you to the chicest and most stylish atmosphere. We are not saying they are inexpensive but they are worth every euro and there are values to be found like an extra night free, hotel credits, upgrades, or breakfasts, even at this rarified level. Restaurants? You must not miss Le Grand Vefour, the Relais Plaza at the Plaza Athenee, 114 Faubourg at Le Bristol, Le Cinq at the Four Seasons, Le Gabriel at La Reserve, L’Espadon at the Ritz, all 5-star experiences with incredible cuisine and wines that will not break the bank. Getting there? We found excellent pricing on Air France and Scandinavian Airlines. La Compagnie, an all-business class airline that operates between Newark and Charles de Gaulle, has round-trips beginning at $1800 a passenger. Expedia.com has hundreds of offers combining airfare and hotel stays. 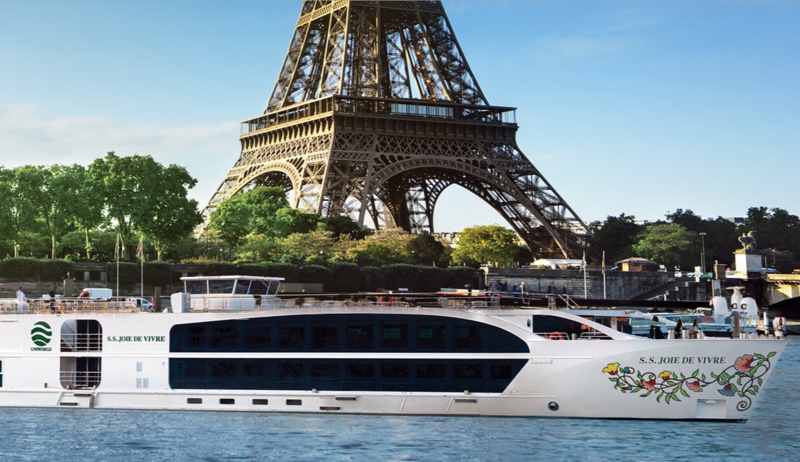 Another clever option: do as we did—book a 7 day trip on Uniworld’s new super ship, Joie de Vivre, from Paris to Normandy and glide blissfully on the Seine, taking tours of Monet’s house at Giverny, Rouen, Honfleur and the Normandy beaches of World War II. 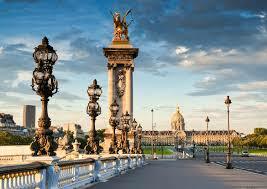 Plus they will show you Paris like no one can with special guided walking or biking tours. There has never been a more beautiful ship built and this one has it all—swimming pool, spa, gourmet food and wines, sumptuous cabins, a staff trained by the highly respected Red Carnation Hotel Company, and extraordinary comfort, style and a journey steeped in wonder, history, art and legend. Visit http://www.uniworld.com or call (800) 733-7820 or your preferred travel professional. Prices for this remarkable Joie de Vivre Seine Normandy cruise range from $3149 per person to $8799. Go now, go this summer or in the fall. Do not fear: Paris is safe and ravishingly beautiful any time of year.